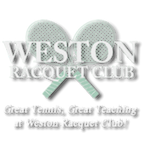 Weston Racquet Club's 2019-2020 indoor season runs for 34 weeks starting Tuesday, September 3, 2019 to Thursday, May 7, 2020. This excludes the holiday week of December 24, 2019 through January 1, 2020. Seasonal Court Time is sold for the entire 34 week season (rates above are based on 1 hour per week). Only WRC members in good standing may participate in season court play. DEPOSIT ($500 for 1 hr. or $750 for 1.5 hr.) or FULL PAYMENT (including deposit-equivalent), LESS 10%, must accompany application by February 28th, 2019. After June 1, 2019, deposits or deposit equivalents will be forfeited to WRC and are non-transferable to other WRC programs.